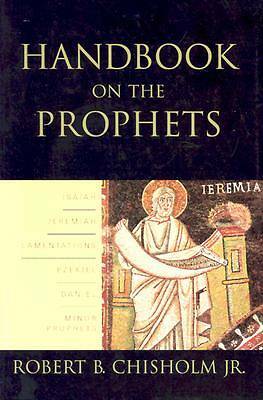 By Robert B. Chisholm, Jr.
Handbook on the Prophets is an insightful introduction to the prophetic literature of the Old Testament. Rather than attempting to provide a detailed commentary, Robert Chisholm offers a thorough introduction to the Old Testament prophetic books, considering their ancient setting while surveying important theological themes. He begins each chapter with a brief analysis of the historical and social context of the prophet and then surveys the book's structure and content. In each case, Chisholm considers how the message would have been heard within its historical community as well as its continuing importance for today. The value of this handbook is further enhanced by extensive bibliographies at the end of each chapter. Author: Robert B. Chisholm, Jr.